In 2010, I launched The Pixar Times to cover films from the studio, along with tie-ins such as merchandise, games, and more. My hope was that I would be able share the passion I held for the studio with a larger audience. I also have a strong connection with Disney, having grown up in an era that brought with it The Little Mermaid, Beauty and the Beast, Aladdin, The Lion King, the Disney Afternoon block on TV, Pirates of the Caribbean: The Curse of the Black Pearl, Disney California Adventure, and Disney Cruise Line, all of which came after the birth of Disneyland and Walt Disney World, the Silly Symphonies shorts, Fantasia, and Dumbo, for which I also have a strong admiration. Welcome to The Disney Times, where we will cover the new era of Disney films, theme parks, and cruise ships, and will celebrate all within Disney that has inspired generations. There is no better example of the sheer wonder that Disney has the ability to command than in Disneyland. Walking underneath the tracks of the Disneyland Railroad station at the entrance of the park, as you cross onto Main Street, U.S.A., you are swiftly transported to the early 1900s, away from the troubles of your life. Almost 60 years later, it is no less remarkable that Walt Disney and his team were able to pull it off. Combining incredible attention to detail, artistic creativity, strong storytelling, and superb customer service, Disneyland did what no theme park or collection of attractions was able to accomplish before it. The recent extensive additions to the neighboring Disney California Adventure similarly capture that magic with the majestic Buena Vista Street and the faithfully wonderful Cars Land. The greatest Disney creations are those that feature memorable characters and great storytelling. 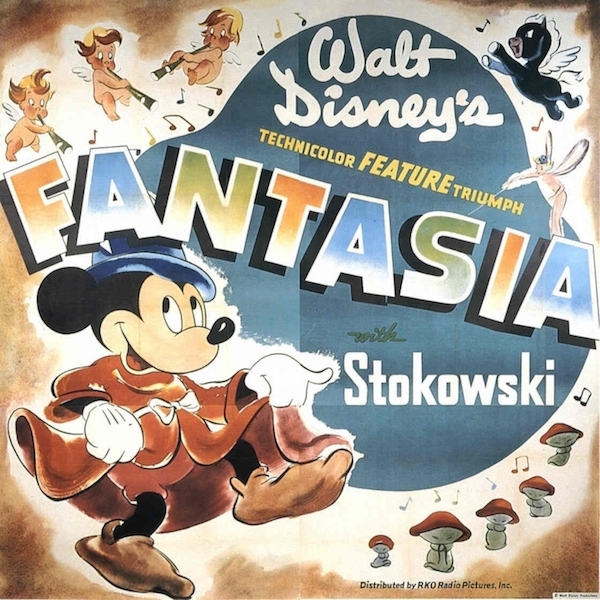 Mickey’s turn as Sorcerer Mickey in Fantasia is arguably the iconic mouse’s greatest adventure and the character does not utter a single word. 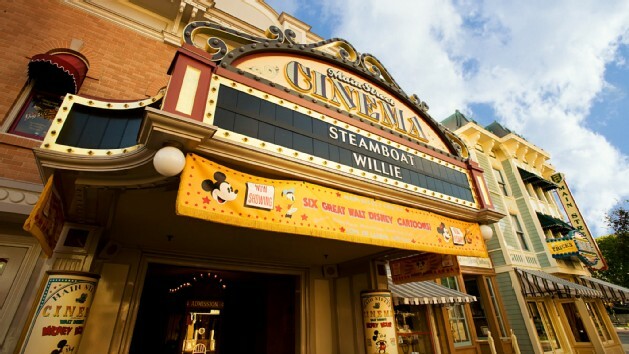 His emotions are demonstrated through the breathtaking animation and the great music, bringing us to another area in which Disney has had unrivaled success. Disney films and attractions have featured some of the most memorable music in entertainment, but at the same time these musical compositions are fairly consistently one share of a great story. Great storytelling does not rely on narration or dialogue – instead a relatable plot is crafted that resonates with the audience long after it is finished. Not only do you hum “The Sorcerer’s Apprentice” from the Fantasia segment, “Friend Like Me” from Aladdin, “I See The Light” from Tangled, or “A Pirate’s Life For Me” from the Pirates of the Caribbean attraction, but you are also reminded of the other aspects of the show that whisked you away to another land or another time. The best stories are those that are comprised of all these elements that work together to form a cohesive product. Although the title track of Beauty and the Beast is a fantastic piece of music, it would not have stood the test of time if the characters and the story were not polished as well. That is where the brilliance of Walt Disney lies – his motivation to focus on storytelling, which is what set Disneyland apart from other theme parks. There are a great many other sites and blogs that are Disney-flavored, and I am excited to join in with the established community. I already follow many of them online and they are part of what has inspired me to bring The Disney Times to life. I invite you to follow us here as well, and participate in the passionate, yet respectful, discussion that will hopefully extend far into the future. Welcome! Samad is the Founder and Editor-in-Chief of The Disney Times and The Pixar Times. His favorite films include The Lord of the Rings Trilogy, Vertigo, Back to the Future, Children of Men, Pan's Labyrinth, and of course, Disney's Aladdin, Beauty and the Beast, and Fantasia.